Demo below shows how to create packing list / delivery order in minutes using Xin Inventory. Invoice can be created by copy from the existing invoice, import from quotation and create invoice from scratch. 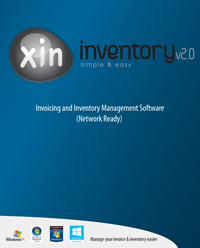 Demo below shows how to create invoice using Xin Inventory in minutes. I have a little query for quantity decimals. I am getting 3 values after decimal point which i don't require. At the most i may need is 2 decimal point. How to set it ? There are 2 places you need to do the setting, one is to set the decimal place for the input form, another one is to set the decimal place for your print-out template. 1. Open Xin Inventory 1.0 / Xin Inventory 2.0, go to Setting/Document. Under "Default Document Setting" category, select "2" for "Quantity Decimal Place". 2. Save your setting. When you open your Invoice, Quotatoin, Delivery Note, Credit Note, Purchase Order, Inventory and Report, all columns that is related to quantity will be displayed in 2 decimal place. 3. Now you need to set the decimal place for your Invoiec print out. To learn how to create an invoice template. please view the demo from http://www.xininvoice.com/invoice-software-customize-invoice-template.html. 4. On the Report Designer, click on the object of Quantity column. Click on the ">" on the top right of this object. 5. On the popup Label Task, click on the "..." beside "Format String". 6. Set the Number format to "###,###,###.00", click OK and save the template. I have xininventory and would like to know if there is a update to the software please and how do I know in the future? For Xin Inventory 1.3.6.8 and above, an Xin Updater is include. If there is any latest patch, when you run the program you will be prompted to install new patch. Click on the message box and the software will be auto updated. 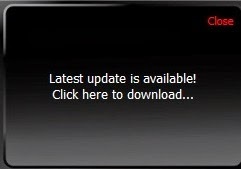 If Xin Updater fail to update your software, you will be prompted a link to download the patch file manually. Follow the instruction in ReadMe.txt inside the patch file to patch it manually. I need to show my Weight for each or my product in invoice, and shows the total Weight at the footer of the report. You will need to custom create a "Weight" column in your Invoice input form. 1. Open Xin Inventory and go to Setting/Document. Under "Additional Info" category, click on "Invoice". 2. 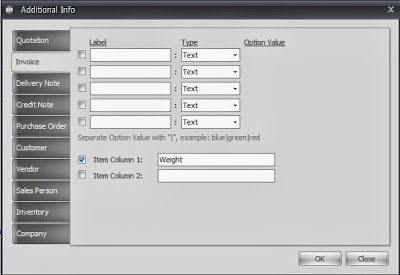 Select option "Item Column 1", enter "Weight", save the setting. 3. Open a new Invoice form. The "Weight" column shows in the item. 4. You may drag it to the appropriate location by using your mouse cursor. 5. Now you will need to custom made your own template. Please view the demo from http://www.xininvoice.com/invoice-software-customize-invoice-template.html on how to custom made your own template. 6. In the Repot Designer, drag the column "Detail_AdditionalInfoValue1" to the DetailReport part. 7. To display the Total Weight, drag "Summary_TotalAdditionalInfoValue1" to the ReportFooter. Note: To be able to calculate the Total Weight, please make sure you enter all numeric value in the Invoice form for the Weight column. You can add up to 5 custom fields in every modules for Quotation, Invoice, Delivery Note, Credit Note, Purchase Order, Inventory, Customer, Vendor, Sales and Company. While for the the items in Quotation, Invoice, Delivery Note, Credit Note and Purchase Order, you may add up to 2 fields. 1. Open a new Invoice. 2. Click on the image on Additional Info. 3. On the popup Additional Info screen, select option 1 & 2, enter "#BOL:" and "Freight Company:", choose the Type as Text. Click OK.
3. These 2 columns will be created in the Invoice page. 4. Now, you need to custom made your own template. Please view demo from http://www.xininvoice.com/invoice-software-customize-invoice-template.html on how to custom made your own template. 5. 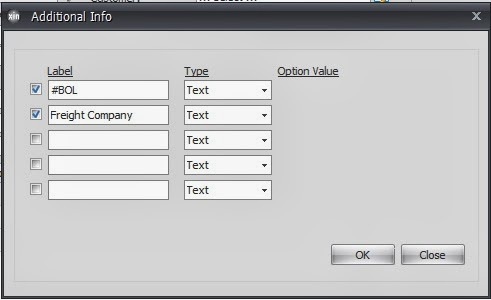 In the Report Designer, drag "Header_AdditionalInfoValue1" and "Header_AdditionalInfoValue2" to the PageHeader.